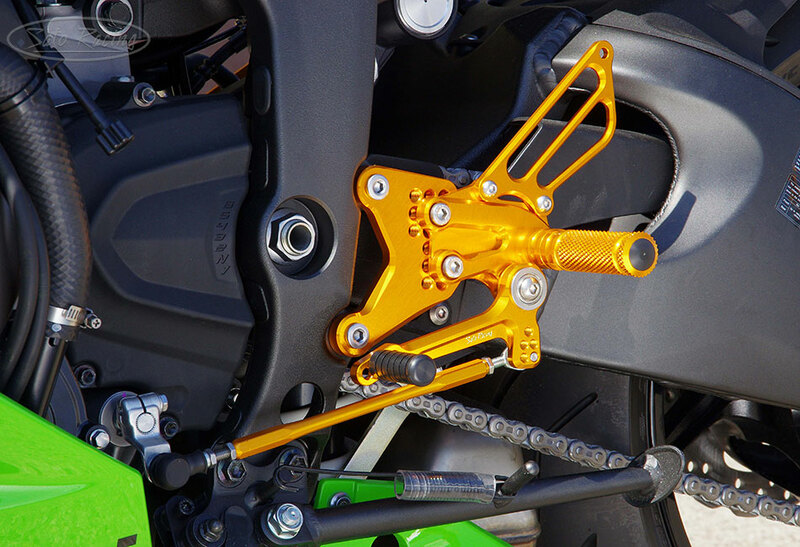 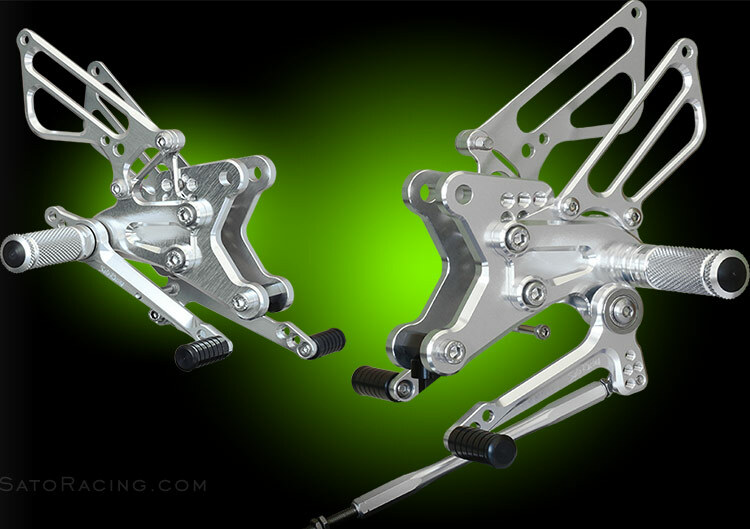 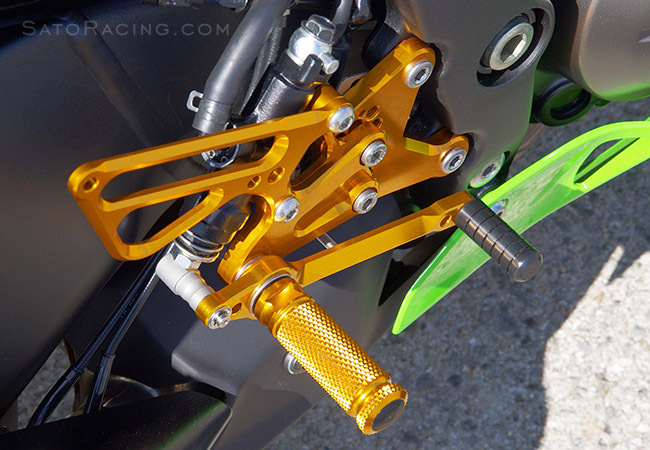 SATO RACING Rear Sets for 2013-17 Kawasaki ZX-6R (ZX636) feature a thoroughly engineered and track-tested design, with all parts precision CNC-machined out of lightweight and high strength anodized billet aluminum, with stainless steel bolts. 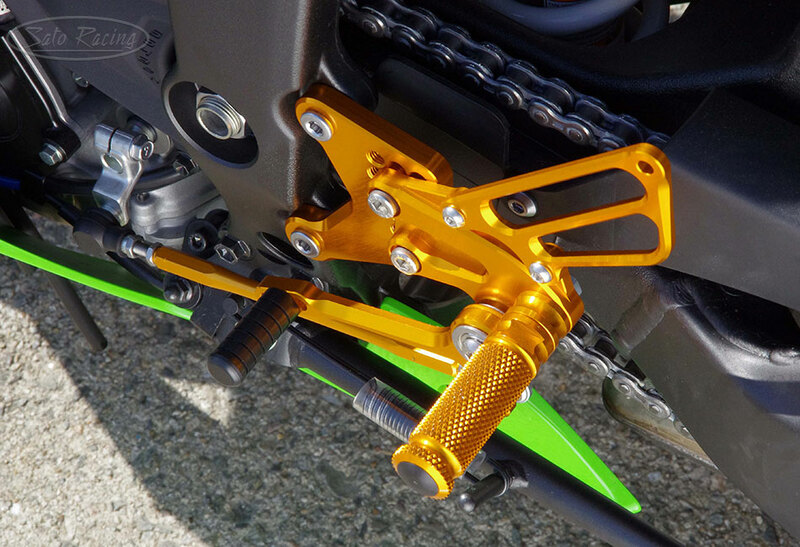 Modular step plate design lets you choose from 8 foot peg positions * in a wide adjustment range, bringing your feet as much as 40mm rearward and 20mm up compared to the stock foot peg position, helping you maintain a riding position well-suited for the fast straights and steep lean angles encountered on the track. 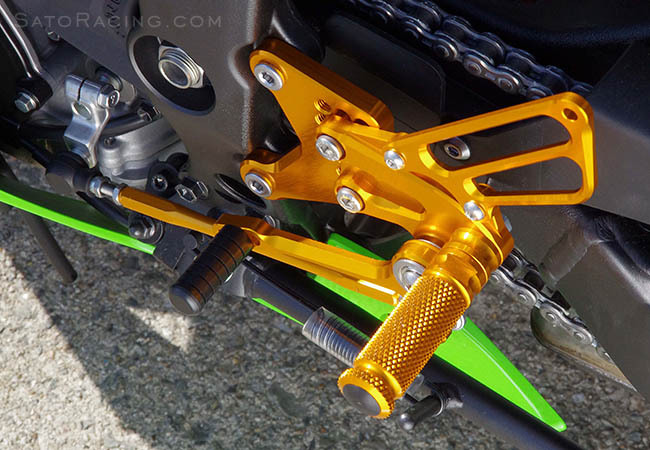 These Rear Sets can be set up for either stock or reverse shift pattern. 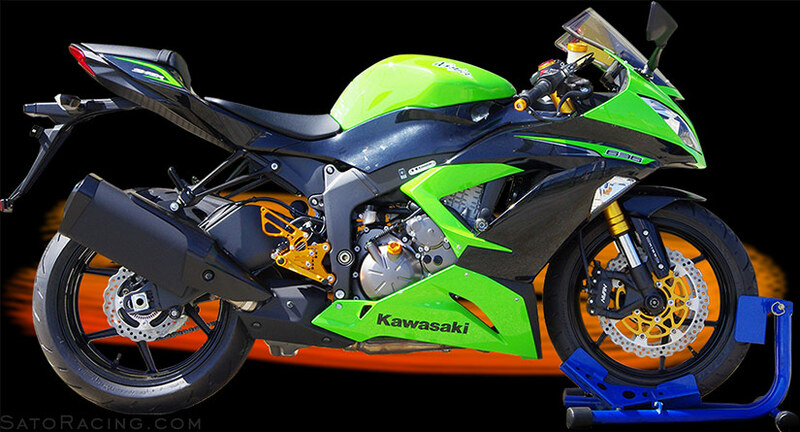 NOTE: Compatibility with the 2018 model is also likely but not confirmed. 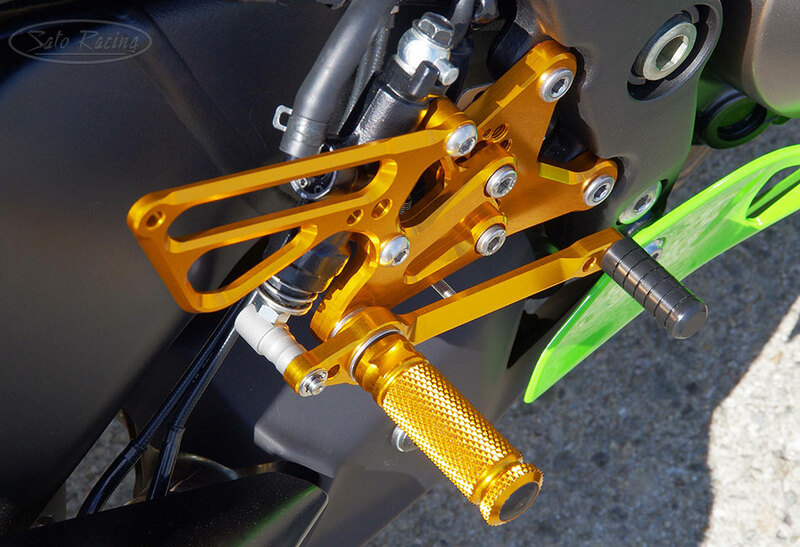 This set is NOT compatible with the 2019 ZX-6R/ ZX636. 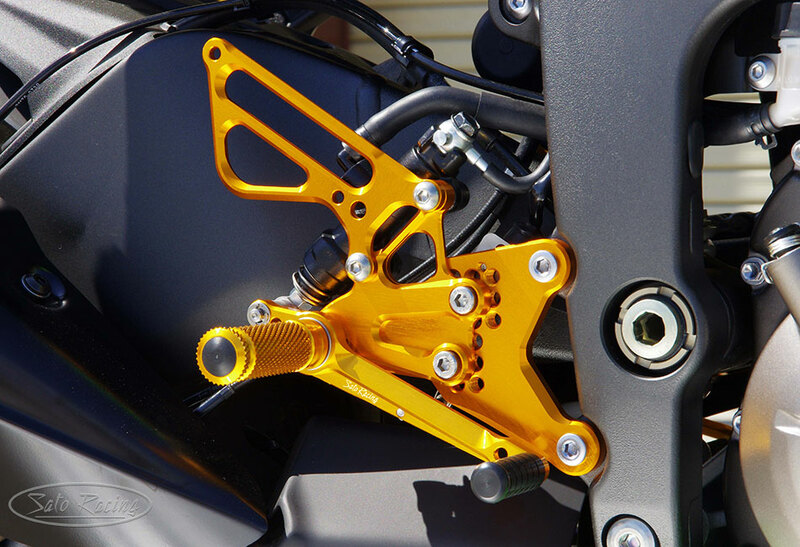 * Positions 1-5 can be used with the stock brake light pull switch, but if you want to set it to positions 6-8, the stock switch cannot be used, so a hydraulic brake switch (sold separately) will be necessary. 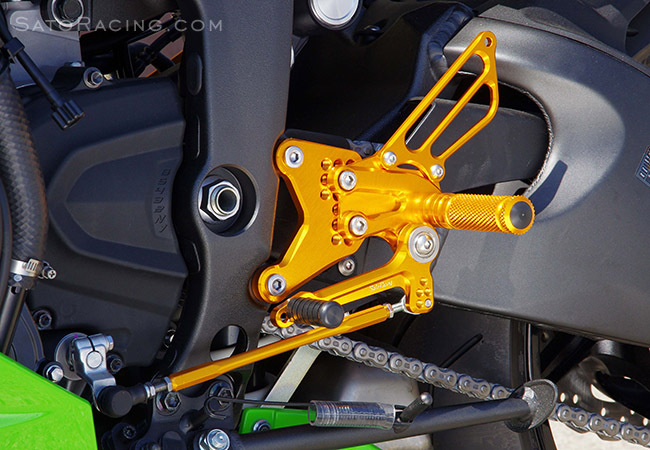 shift pattern by flipping the stock shift arm so it is angled upward. 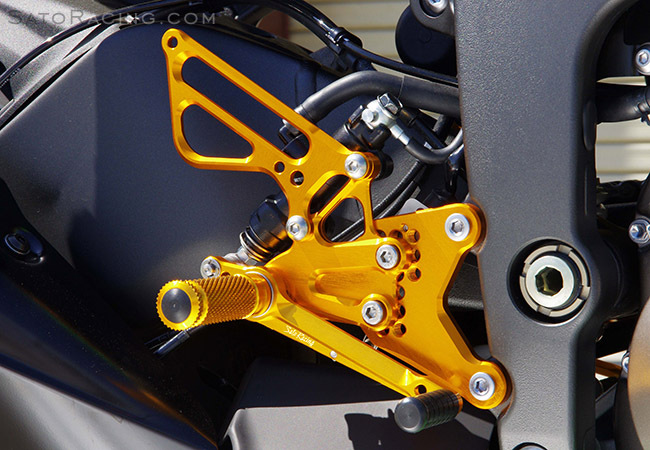 brake switch will need to be fitted instead, since the stock switch will not work in those positions.